A place to share and discuss cloth and crochet dolls made by hand. All of these dolls were crocheted from the basic Eva pattern, which is freely available on Ravelry, by Jessica Doering, aka Neogurumi. The pattern is very well written and easy to follow. And, there are no seams with this doll! 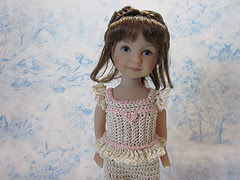 Legs and arms are crocheted in as the body is worked, making the doll very easy to complete. Isn't this an adorable body?! 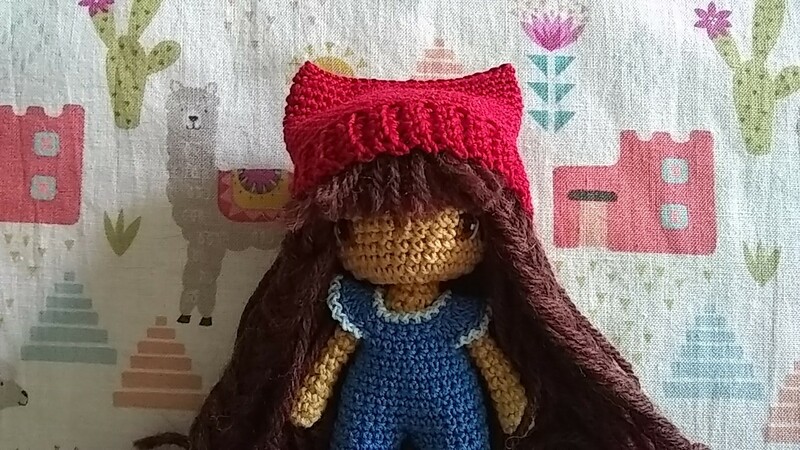 I hope you enjoy making this adorable doll! Mother Nature has been showing her darker side to us the past few weeks. It is hard to talk about dolls when so many are threatened by natural disaster. 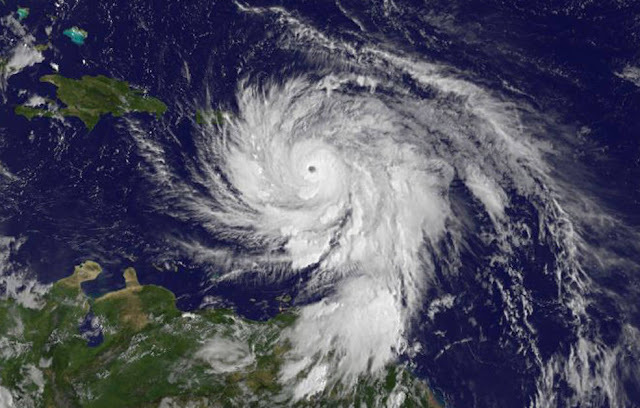 Not only three Catagory 5 hurricanes in the Caribbean, but two deadly earthquakes in Mexico. Please keep those in harms way, wherever they may be, in your hearts and prayers. And if possible, donate to those on the frontline of helping. We probably all know someone battered by Hurricane Irma; I have relatives and dear friends looking to put the pieces of their lives back together. 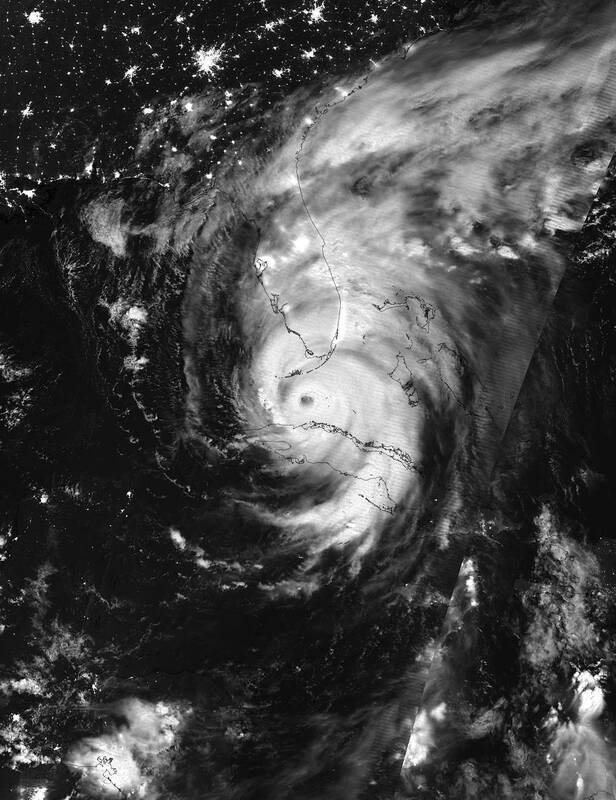 The fact that it could have been so much worse in Florida does not change the devastation that has been left there, and the islands of the Caribbean were literally ripped apart. So, if you can, help as you can the people of the Caribbean and Florida rebuild their lives. 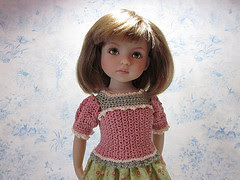 Using the best quality fabrics for your doll's body will make a big difference in how well you can stuff the doll. 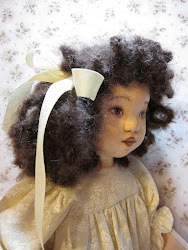 For a doll that will be played with, sew it up with a sewing machine on a small stitch length. Take extra care in the corners, and sew slowly. When finished sewing, do NOT clip the outward curves of the head. Instead, trim the seam allowance to 1/8 inch. Clipping will cause little 'points' to form when you turn the doll right side out and start to stuff. DO clip inside curves, as at the neck and inner curve of the leg. The best tip I ever learned when stuffing the doll is to dampen the doll slightly before stuffing. This causes the material to stretch a bit, and also will let you work the wrinkles and creases out of the seams. Use a bottle mister and spray the doll, but not to soaking. The damp fabric will 'grab' the stuffing, making it easer to keep it in place. You will find that neck creases disappear if you dampen the doll before you stuff it. I like to use wool roving for stuffing. 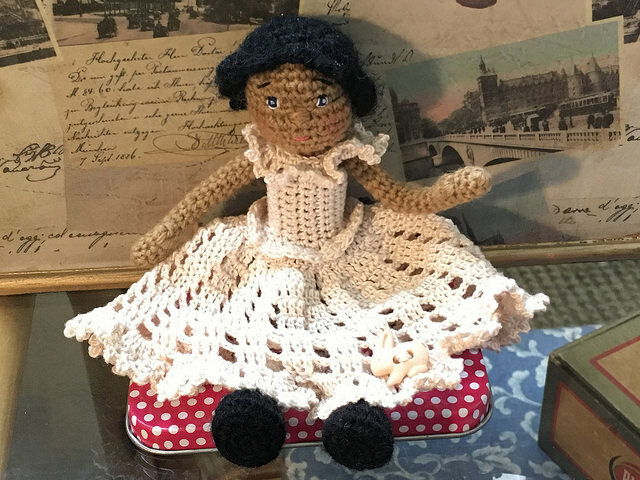 Yes, it is more expensive than polyfill, but I love the weight it gives to a doll, the way you can smoothly feed it into the doll body, the warmth it gives a doll, and the fact that, for dark skinned dolls, you can find brown wool roving! Well, that is all I can think of for now. 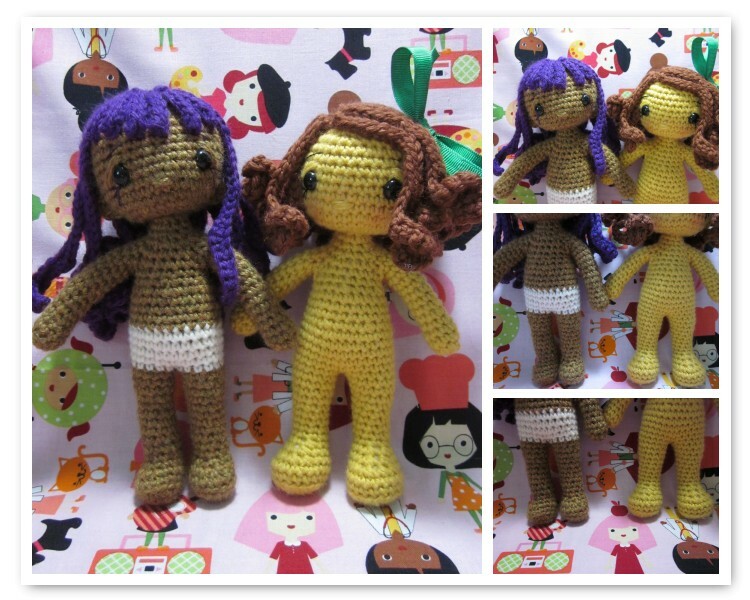 I'm feeling the call of crochet, so will give the alphabet girls a bit of a rest for now. Keep the folks in Southeast Texas, the Caribbean, and Florida in your hearts and prayers. Top 50 Ami Blog Spots! Nancy Ann's Rescued Dolls Getting Clothes Made And Hair Done. Welcome! My name is Beth and I live in the Midwest of the United States. I was 12 years old when Neil Armstrong stepped foot on the moon. I would have been an astronaut, but my fear of heights has kept me grounded :-) Instead, I became a Mechanical Engineer and worked in industry for many years. 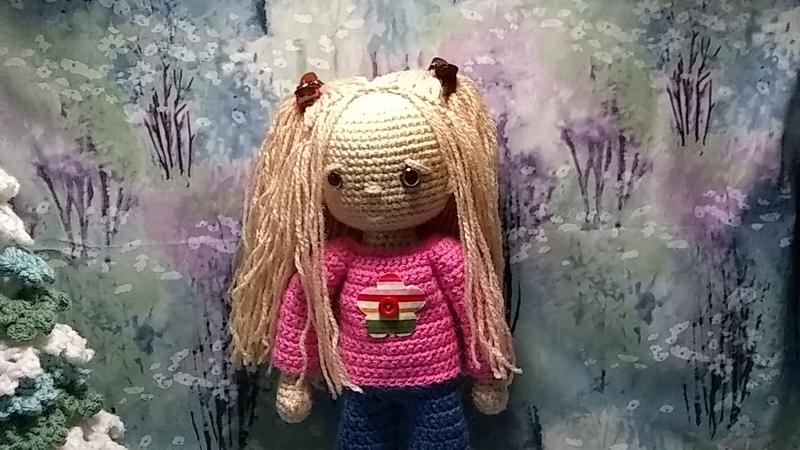 Now I design and make soft dolls; a passion I've enjoyed since my Grandmother first taught me to crochet. Crochet Pattern Central - loads of free patterns!